It’s quite common for people to think they cannot draw. This is often reconfirmed when they draw a humble stickman. They draw it, step back to look at it and wonder why it doesn’t look quite right. 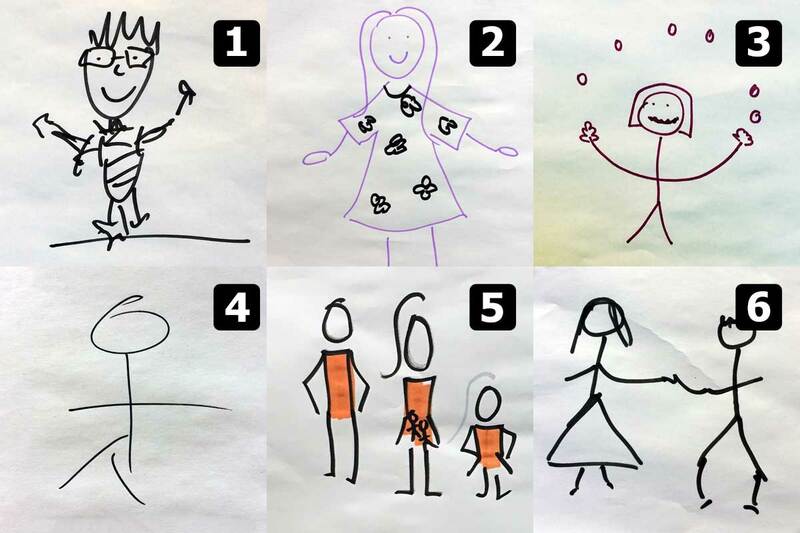 You can understand their confusion, we all know what people look like and know a stickman is ‘simply’ made up of a circle for a head, and straight lines for the arms, body and legs. Lets look some examples of stickmen from the the basic to slightly fancy ones. Which ones look right to you? Which men look ‘right’ which look ‘wrong’? Which did you feel looked ‘right’ and which felt ‘wrong’? I would broadly expect most people to say numbers 1, 2 and 5 look the most ‘right’. But are you able to say why you think these are right or wrong? 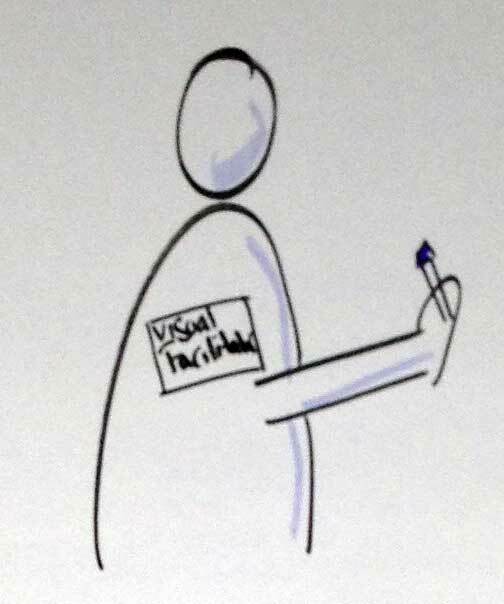 I use a lot of visual items when working on flipcharts and whiteboards so I get asked quite a lot why their people look wrong. It’s quite simple really, but the best way to demonstrate this is to show you. 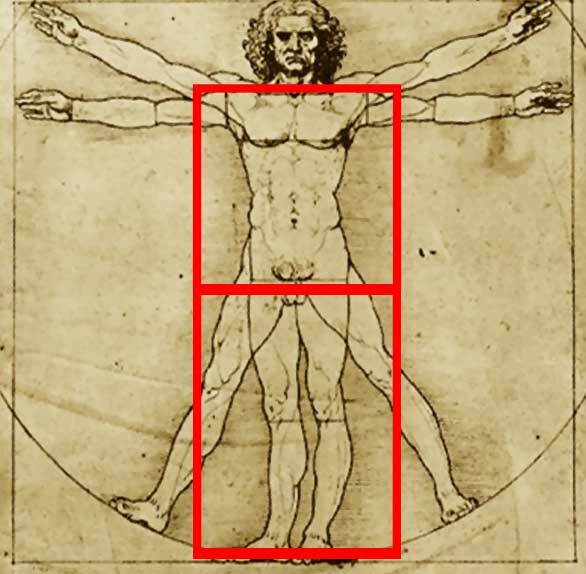 In the following montage, I’ve overlaid a well known drawing from Leonardo Da Vinci. What do you spot is the consistent thing that makes the ‘right’ ones so? You may or may not have noticed, but it’s all in the arms! I am sure there is a joke in there somewhere, but I’ll gloss over that for now. Generally the major issue when people draw stickmen is that people put arms coming out of the middle of the torso. There can also be a secondary issue of scale between the legs and body, but even when this is not well proportioned with the legs a little longer than the torso, it doesn’t create that same uneasy feeling. The following shows how the ‘wrong’ images now look with a quick tweak in photoshop. As you can see, even with number 4’s has disjointed legs, it still looks better than it did before. Finally, two more images for you, one that shows that I too made the same mistake when I was first learning using graphic recording skills and another showing the torso to leg ratios. If you have any other tips, why not share in the comments. Happy drawing!